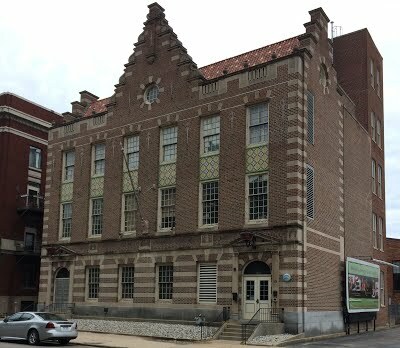 A. H. Landwehr of the Holland Furnace Company propelled the building of the Warm Friend in 1923. It was completed on April 25, 1925, after 300 work days. Originally a hotel called The Warm Friend Tavern, the building got its name from the Furnace Company motto: “Holland furnaces make warm friends.” For decades, the hotel held social functions on some of its six floors and served many people through its dining services and shops. The hotel was sold to Jack Vannette in September 1965 due to a lack of sustainable revenue. For 16 years, the hotel continued to operate and underwent quite a few significant renovations. 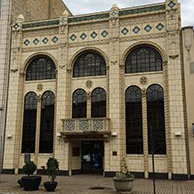 The building was sold to Resthaven Patrons, Inc. in December 1981. The new owners intended to create housing for senior citizens in the context of the Christian faith. To this day, The Warm Friend serves as a residential retirement home for active older adults. Though the Warm Friend serves as an independent senior living community today, it was originally built as a hotel. A. H. Landwehr was the treasurer and manager of the Holland Furnace Company, which began in 1906 and quickly became the city’s major employer. Landwehr wanted to build the hotel for two reasons. First, Holland did not have a luxury facility after the Ottawa Beach Hotel was destroyed in a fire on November 6, 1923. 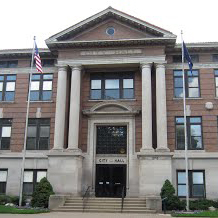 Second, while Landwehr was busy trying to put Holland on the map, he needed a place to house the multitude of businessmen that came to see him from all over the country. The project required $500,000 total in cash and bonds to build and furnish. On Tuesday December 6, 1923, a letter from Landwehr headlined the front page of the Holland Sentinel. The article encouraged Hollanders to help the proposition by buying stocks: “If you have any pride in Holland, now is your time to show it…” The hotel was built on Eighth Street where the City Hotel was constructed in 1872 and then remodeled into the Holland Hotel in 1891. Landwehr and investors bought the Hotel Holland from Hermanus Boone for $65,000 and demolished it to make room for the new six story hotel. Less than two years later, the Warm Friend Tavern was completed on April 25, 1925. The inaugural banquet for the new hotel occurred on Thursday, April 30, 1925 with a full house of stockholders and other important people who helped turn the hotel into a reality. When it opened to the public on Saturday, May 2, thousands of people flocked to the hotel for a chance to enter the magnificent building. The town celebrated with a parade and water demonstration by the Holland Fire Department. The building was named The Warm Friend Tavern, which comes from the Furnace Company motto: “Holland furnaces make warm friends.” Some Holland residents disliked the name Warm Friend, but supporters claimed “there is not a man, woman or child in this community who has not already benefited, either directly or indirectly, because of the Holland Furnace Company in Holland.” Two beavers are carved in the stone at the apex of the building to illustrate that the Furnace Company’s work ethic is equivalent to that of beavers. Over the decades, the building housed such things as the downtown office of the Holland Furnace Company, the Allen Tot and Gift Shop, the B & M Shoe Store, a private bank, and even Holland’s first radio station in 1927. After prohibition, a bierkelder (beer cellar) was frequented by tourists, salesmen, and visiting branch managers. For many years, the first floor was home to the Holland Chamber of Commerce. At one point, there was even a grill on the first floor which had Dutch light fixtures made from stained glass to look like windmills. These are now in the Holland Chamber of Commerce office. Many notable people stayed at The Warm Friend Tavern. Princess Juliana of the Netherlands paid a visit in 1941. Hollywood stars Dorothy Lamour, George Raft, Pat O’Brien, Fay Wray, Virginia Gray, Richard Arlen and Robert Cummings stayed during Tulip Time. Heavyweight boxing champion Rocky Marciano trained for a May title bout in 1953 when he stayed in the Tavern. Despite the many social functions that took place in the hotel, it unfortunately never made more money than was put into it. The lack of monthly revenue meant most of the operating expenses could not be paid for. At the same time, the Holland Furnace Company was going through its own financial crisis. 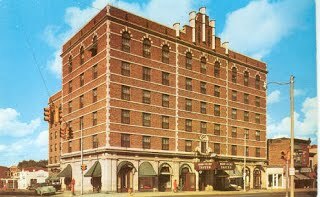 As a result, the Furnace Company Vice President Walter J. Roper sold the hotel to Jack and Arthur E. Vannette in September 1965. A year later, Jack Vannette renovated the hotel to include updated hotel rooms, luxury apartments, and excellent food service facilities. In 1979, he made even more radical changes to add new shops and an arcade. In 1975, the Vannette brothers converted the sixth floor into an apartment for elderly woman Lillian Tazelaar. In The Grand Rapids Press, Tazelaar said she never frequented the Warm Friend, “but the hotel tavern, that was quite a popular place.” She lived there for 28 years and continued her stay when the hotel was sold to new owners in 1981. At the age of 103, she moved to a different retirement home. Jack Vannette sold the building to Resthaven Patrons, Inc. in December 1981 for $1 million. The new owners intended to create housing for senior citizens in the context of the Christian faith. The name Resthaven comes from the desire to establish a haven of rest for older adults. To this day, The Warm Friend serves as a residential retirement home for active older adults. Van Reken, Donald, and Randall Vande Water. Holland Furnace Company, 1906-1966. Holland, Michigan: D.L. Van Reken, 1993.